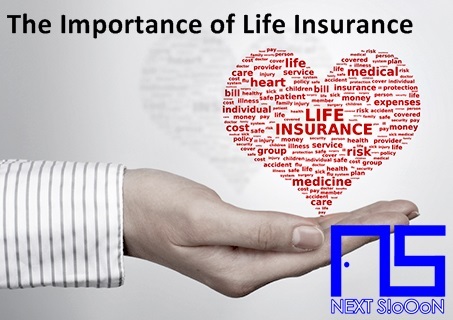 For some peoplechoose not to use Life Insurance on the grounds that they don't want to spend money on installments or pay for Insurance every month. Another reason is not knowing how Claims and fears cannot be claimed. There are also those who are baseless if they do not need insurance because they feel they are still strong and healthy. Many people speculate that Life Insurance is not too important to be a necessity in their lives. Even some surveys prove in various countries that 10 people only have 2-3 people who use insurance. That shows if insurance is not very attractive to people. When viewed from the benefits of insurance is a savings or long-term guarantee that is useful later. Insurance does look like a burden because you have to add expenses for each month. Because there are also many people who have joined or have insurance for up to 10 years but have yet to get profit. Maybe that is the reason many people refuse to have Life Insurance. The question is do you love your family? You must love your family, family is the person closest to us. Those who always support and love us. That's what makes us love them, we don't want to lose our family. In a family, there must be someone who acts as a breadwinner, it can be Father, Mother or Sister who are looking for money. Thanks to them we can all eat and meet our various needs. Imagine if among those who are looking for money (Family Backbone) die? What is the fate of our family? Is there savings? How much is our savings? Life Insurance can help and overcome these problems, if only there are those who have insurance. Of course the family left behind will get a sum of money (Allowances) from the Insurance Claim. The amount is quite large, it can even be used for business capital. Open a business and find money to continue living. Families become neglected because they have received claim money from insurance, money cannot replace a life for a family member. But at least it can help them to make ends meet. You can also compare between Savings or Insurance, suppose you save for the future by saving $ 10 every month. Your target saves for 10 years = 120 months, with an estimated accumulation of $ 1,200. Whereas your insurance pays $ 10 each month with an estimate of getting a claim of up to $ 10,000- $ 1,000,000 (Depends on insurance). The amount is very different, the same way is to save money every month. But when needed you will get a different amount. The second example is suppose you saved $ 10 but only 5 years had an accident and died so that it only collected 5x12 months = 60 months x $ 10 = $ 600 USD. But if you have your insurance you can claim the same amount of $ 10,000 - $ 1,000,000 USD. That is another advantage of insurance compared to ordinary savings. You can think about that, whether it's important or not Life Insurance. Hopefully useful, thank you for visiting Next-Siooon (NS). Keyword: The Importance of Life Insurance, What is The Importance of Life Insurance, Understanding The Importance of Life Insurance, Explanation of The Importance of Life Insurance, The Importance of Life Insurance for Beginners The Importance of Life Insurance, Learning The Importance of Life Insurance, Learning Guide The Importance of Life Insurance, Making Money from The Importance of Life Insurance, Earn Money from The Importance of Life Insurance, Tutorial The Importance of Life Insurance , How to Make Money from The Importance of Life Insurance.